When Alice Gbelia was looking for interior design inspiration for her new home she struggled to find an outlet in which to buy the kind of artwork she was looking for - something that reflected her African heritage and love for Black pop culture. The gap in the market inspired her to create Ayok’a, an online store which sells beautiful designs using art by Black artists. Launched in October 2017, Ayok’a shares the story behind each piece of artwork while presenting it in a stylish, fun and original format. The site features a variety of black artists from around the world including Delphine Alphonse, Pauline N’Gouala, Nyanza D, Parys Gardener and TEDA; creative visionaries who do not get the wider international recognition that they deserve. These artists break away from the sometimes myopic perspectives that society has of art from the African diaspora, and they present refreshing new narratives around feminism, colourism, the LGBTQ community and so much more. MS Gbelia has worked in the digital industry for 15 years, as Content Manager and Strategist for media and e-commerce companies. Back in 2008, she founded an online culture magazine celebrating African and Caribbean culture in London that went on to win several blog awards. 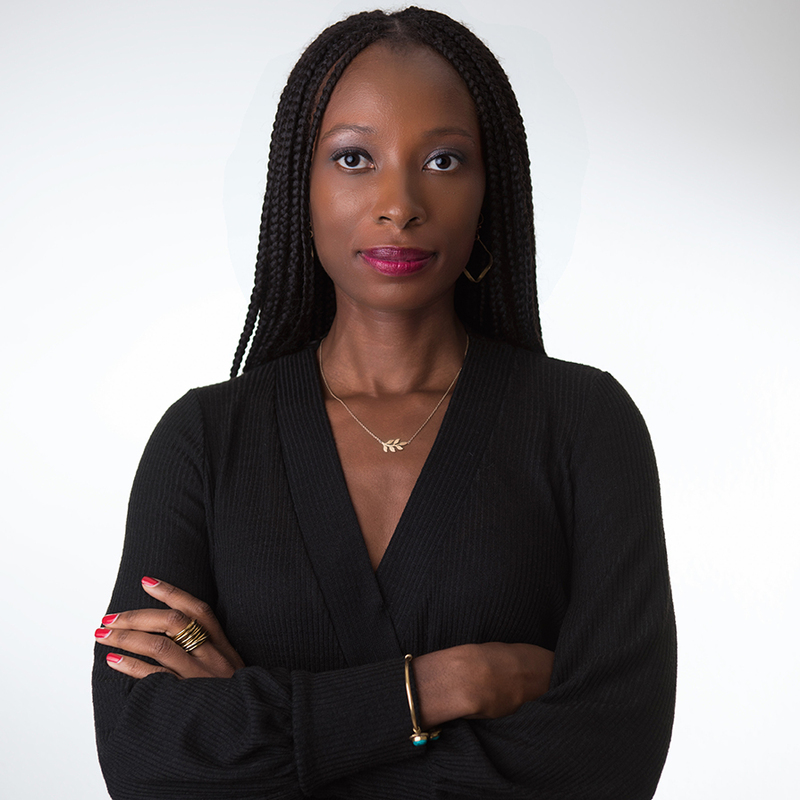 This passion for art and culture from the African diaspora, and expertise in digital media led her to create Ayok’a. From a social impact perspective, Ayok’a aims to address the lack of representation in art particularly with regards to the inclusion of Black artists. The issue of diversity and inclusion in the art world has meant that many marginalised communities do not have access to this world, and underrepresented groups are not given platforms to showcase their talent. The site opens up a whole new world for people who have been restricted by the traditional gatekeepers of the art world; with the goal of making arts affordable and accessible to all. The platform empowers artists to generate profit from their art, so that they can continue to do what they do best. They create the art, Ayok’a produces the goods and customers enjoy art in new and dynamic ways. Customers choose the artwork they love and have it printed their way: fine art prints, phone cases, greeting cards or t-shirts which can be delivered across Europe and North America. The greeting cards range of products will give people a chance to share their love of art with their loved ones in a bold and creative way – increasing the reach of these artists on a global scale.